After deciding to start a dog walking business and picking out a name for it, you probably have one question. How do you actually get people to find out about it so you can get to work? You have to advertise your dog walking, otherwise no one will know about it. As a trust-based business, references are the primary ways you’ll receive most of your business in the long run. However, to get to the point where your clients are doing your advertising for you, you’ll have to hustle. Your goal should be to spend as little money as possible, but you’ll still have some expenses. There are two separate fronts you’ll be working in: Your online presence, and your offline presence. Next, you create a website, which is one of the most important ways to advertise your dog walking business. There are many places you can get a free one, such as SquareSpace and Wix, but since you’re a pet care business, we recommend getting a free pet care website with Walkles instead. It includes features that let your customers schedule services with you online and offer business management tools. You can start with a free plan for now. However, keep in mind that services won’t let you link your domain name to your website on their free plan. If you do decide on free (nothing wrong with that!) then maybe hold off on buying the domain name until you’re ready for a paid plan. Another thing you should do is create an Instagram account to advertise your dog walking. Post plenty of photos of dogs you walk, memes, dog-friendly places in town, and pet supplies. Anything dog-related is a good idea. Get into the habit of hashtagging with your location as well. For example, if you’re a dog walker in the Lake View neighborhood of Chicago, you may want to hashtag a photo of you walking a dog with #lakeviewdogwalker. Also, look through local hashtags and follow users in the area with dogs. At the very least they’ll check out your page, and maybe even follow you back! Once you’ve got your dog walking website set up, you should add your business to Google Business so it’ll appear in search results on the map when people near you search for businesses in your category. While you’re at it, add your business to Yelp as well. With your listings, you’ll start to gain some traction as people in your area look for pet care providers. On the topic of Google and Yelp listings, you’ll want to get your customers reviewing you as soon as possible, because those reviews advertise your dog walking skills through testimonials. The goal is to get some reviews on these listings as soon as possible, because the way Google and Yelp’s algorithms work includes a time component (e.g. a 1-month old listing with 2 reviews ranks better than a 6-month old listing with 3 reviews). Another place you can spread word of your business is on Nextdoor. It’s a neighborhood-based social network, and once you join, you can send messages to people in your neighborhood and post threads all of your neighbors can read. Let people know you’re available to care for their pets, and reply to those who are looking for a pet care pro. Check the news feed daily for anyone looking for pet care services. Also, add yourself to the directory of businesses/services in your neighborhood. Total Cost: $0 if you don’t buy a domain and get a free website. Around $11-$26 per month, depending on what service and plan you choose. Have you thought about what your business card is going to look like? You’d better start! There are a lot of options for cards out there, from the beautiful (but pricey!) Moo cards to the cheap Vista Prints. We recommend something in the middle, like Overnight Prints. You can get yourself 250 cards for as low as $17. If you can afford them, buy some magnets with your business card information on them. 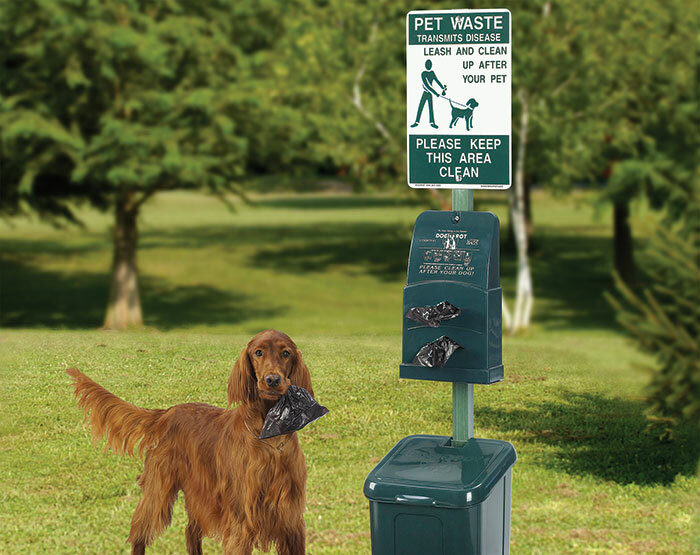 Overnight Prints sells 50 of them for about $21, and you can stick them on any pet waste stations where you can ensure dog owners will see them. The metal sign will hold your magnets, just don’t cover any important text. Head to your nearby dog parks, and start socializing and advertise your dog walking. Take business cards with you and leave one or two in an area sure to be seen. Park benches and pet waste stations are visible and highly trafficked. Or better yet, talk to people. If the topic comes up, let them know what you do and give them a business card. The most important thing in this business is satisfying the customers you do get. 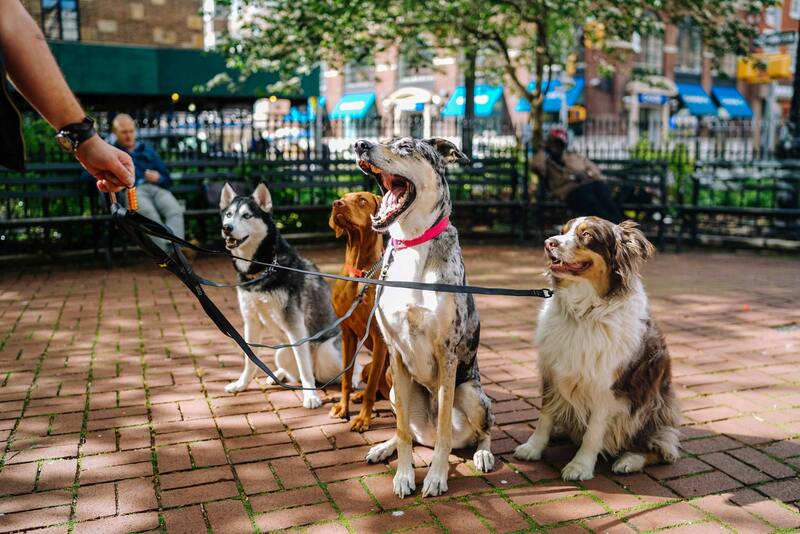 When someone finds a dog walker they love, they’ll stick around. They’ll tell their friends. They’ll write reviews and vouch for you on Nextdoor. Whatever it takes to keep you working so you can be around for them when they need it. Follow these tips and you’ll be making new doggie clients in no time.